Quick – what do you think of when someone mentions Tasmania? 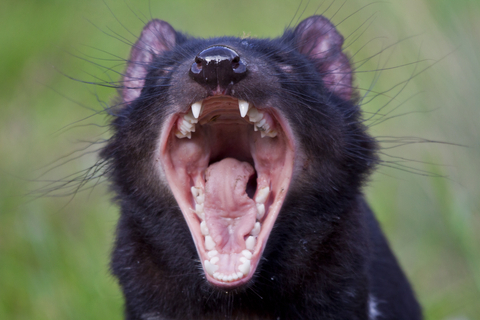 For a lot of people it’s the Tasmanian Devil, popularized by cartoons and comic strips. Characterized by its pungent odor, extremely loud and disturbing screech, keen sense of smell, and ferocity when feeding, it’s probably not Tasmania’s best ambassador to the world. For others it might be the now extinct Tasmanian Tiger or the island’s famous native son Eroll Flynn, a movie actor known for his romantic swashbuckler roles in Hollywood films and his flamboyant lifestyle. So who’s the Tasmanian Alexander? Well definitely not Alexander of Macedonia, aka Alexander The Great! India was the closest he ever got to Tasmania. No, it’s F. Matthias Alexander, developer of what’s become known as the Alexander Technique and one of the great mind/body thinkers in modern times. He was born in 1869 in Wynyard, Tasmania, the son of two convicts who had been transported to Tasmania from England. Through years of personal self-observation and experimentation, Alexander developed a number of very important insights into human posture and movement, and how we can learn to use those insights to improve our physical and mental functioning. Alexander’s origins were humble, but over time his work came to be lauded by famous scientists, writers and intellectuals – and by many thousands of other students of his work. Aldous Huxley based a character in one of his books in part on Alexander. The famous American educational reformer and philosopher John Dewey wrote the introduction to three of his books. He was the subject a Nobel Prize acceptance speech in 1973. The Alexander Technique has received numerous other medical and scientific endorsements. It is my intent to use this blog to help promote greater awareness of Alexander’s work, and of the Alexander Technique. And to popularize – in the best sense of that word – Alexander’s discoveries, and make them accessible to anyone who wants to explore them. I welcome your comments and suggestions. You can use the comment form below and/or subscribe to the blog using the form near the top of the right-hand column. This is my very first blog! I would be remiss not to thank my Alexander Technique colleague Imogen Ragone for setting up the site for me, and for providing much-needed help in navigating WordPress software. She’s definitely the go-to gal for anyone who wants to get started with social media, a website or anything else to do with the web. What a wonderful first blog, Robert. I had no idea that Eroll Flynn came from Tasmania too! Looking forward very much to reading your future posts. I certainly share your desire to promote greater awareness of the Alexander Technique and its many and various benefits. Lovely blog, I am looking forward to the next one already! Thanks for your kind words Imogen and Gemma. We had a wonderful AUSTAT conference in Wynyard Tasmania in 2009. It was a great conference with Jean Clark from UK as our special guest. The Wynyard Council on hearing a bunch of AT teachers were coming put on a very warm welcome with Tasmanian wine, cheeses and local produce.Yum. There in the tourist centre where we supped was a great sculpture of FM Alexander for some reason made from paper? But there it was. Later on we visited Table Cape- so close to where FM grew up . There under a windswept sky was a plaque saying this was the birthplace of one of Australia’s 200 great figures of history a Mr FM Alexander founder of Alexander Technique. I think a visit to Australia and especially Tasmania is “de rigeur ” for anyone serious about Alexander Technique. While here come and say hello. Thanks for the information Michael. I do remember seeing a photo of FM’s paper sculpture in one of the AT newsletters. Maybe you can help raise his visibility in the Tasmanian/Australian web world? If enough people send emails, it could make a difference. Thanks Jennifer – I always look forward to reading your blogs too. I love the content and feel of your blog, Robert. I want to read more. Keep ’em coming! Thanks Mark! Don’t forget to subscribe – using the link to the right of the blog post. That’s fascinating Sheree! I’d love to visit Tasmania some day and stay there.